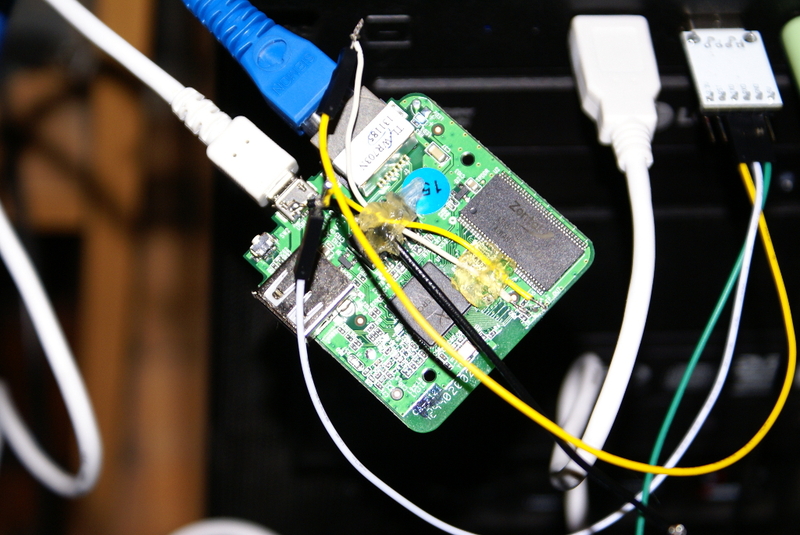 I bought a few more TP-Link wr703N routers and proceeded to flash the firmware like I had done with previous ones…. Bricked one, but the other is fine. The models with version 1.7 firmware cant be flashed the same way as the older ones I have. It’s serial console or brick. I did solder the serial points on the first one, but couldn’t fine the hot glue gun to hold them, so when the cables moved it ripped the pads straight off, and no matter how well I scratched the tracks back I couldnt get the wires to solder to them well enough to de-brick it. So from now on it appears to be a better idea to hot glue your cables, then solder, then flash. This is the firmware I ended up using. Which means all the work I have done compiling LCD4Linux to handle DPF‘s is now going to have to be done again. SIGH! 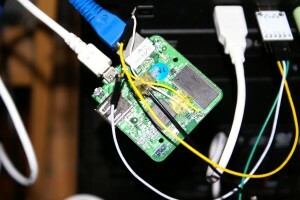 This entry was posted in Hardware, Tech, WR703N and tagged Lcd4Linux, openwrt, WR703n by Kristian. Bookmark the permalink.